Some pretty drool-worthy new museums opened up this year, with the architecture equally as spectacular as the collections inside. Perfect for rainy days, or destinations in and of themselves (guilty of the latter), 2017 saw some pretty great reasons to head indoors. What: Brand Spankin’ New, the Musee Yves St. Laurent Marrakech opened alongside the Yves St. Laurent Museum Paris honoring founders Yves Saint Laurent and Pierre Bergé. While the Parisian museum at YSL’s former headquarters is the first in Paris to exclusively display the work of one fashion designer, the Marrakech museum houses over 5,000 clothing items and 15,000 accessories including pieces from the Berber Museum at the Jardin Majorelle. Designed by Studio KO architects, the Marrakech museum pays homage to the Moroccan desert which has been a source of inspiration for Saint Laurent throughout his life (just check his 1967 African Collection). What: Opening its doors in September, the Zeitz Museum of Contemporary Art Africa is the largest museum to open on the African continent in over a century. Re-purposing a 57-metre-high grain silo, Heatherwick Studio excavated huge chunks of the tubular chambers, creating an otherworldly network of 80 gallery spaces that weave in an out of a 27-metre-high atrium. 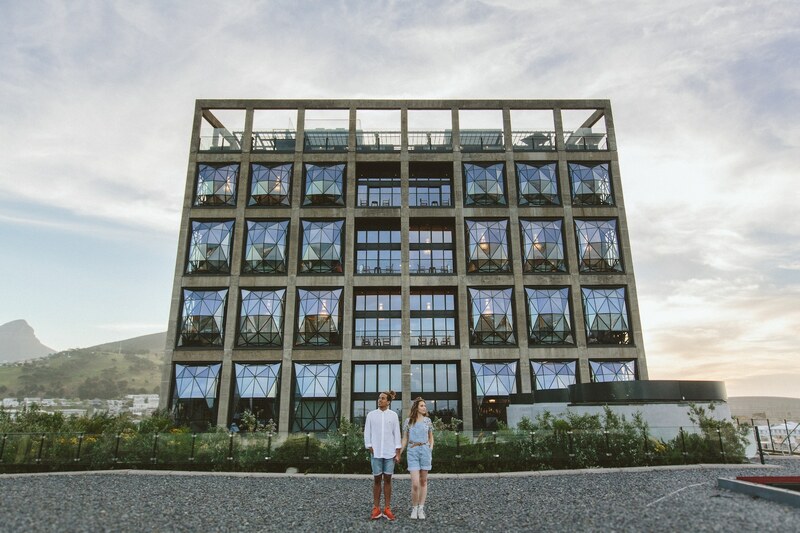 Filled entirely with work created since the year 2000, the Zeits MOCAA will be ground zero for modern art emerging from the African continent. What: Coinciding with The Jakarta Biennale and Biennale Jogja, Museum MACAN (Modern and Contemporary Art Nusantara) will open its doors this November and will be Indonesia’s first exhibition space dedicated to the modern and contemporary movement. With the inaugural exhibition showcasing over 90 significant works drawn from founder Haryanto Adikoesoemo’s private collection, the museum will also be filled with the largest collection of modern Indonesian art throughout its 2,000 square meters of exhibition space. What: The Louvre Abu Dhabi has had a bumpy road to opening. First scheduled to open in 2012, and then again in 2016, it seems the Jean Nouvel designed structure is finally nearing completion with an official open date of November 11th. Patience does however pay off, and those making the trip to Abu Dhabi will be able to meander through over 600 exhibits in 23 permanent galleries styled like medinas and low-lying Arab settlements. Site-specific outdoor works will be added gradually, among the first — three engraved stone walls created by American artist Jenny Holzer. What: After a two-year renovation by Arata Isozaki, the 1930’s built Art-Deco The Bass Museum has expanded and re-opened this month, hoping to cement itself as the premiere contemporary art gallery in Miami Beach. The museum’s inaugural exhibition — an Ugo Rondinone retrospective, includes a creepy clown installation “good evening beautiful blue” perfect for a Halloween visit, as well as a site specific tower of coloured rocks — ‘Miami Mountain’, that has cropped up in other global locales (and most likely your instagram feed). With some tough contemporary art competition in the city, The Bass Museum now has a leg up with the beautiful building and grounds taking a more prominent role as a reason to visit.